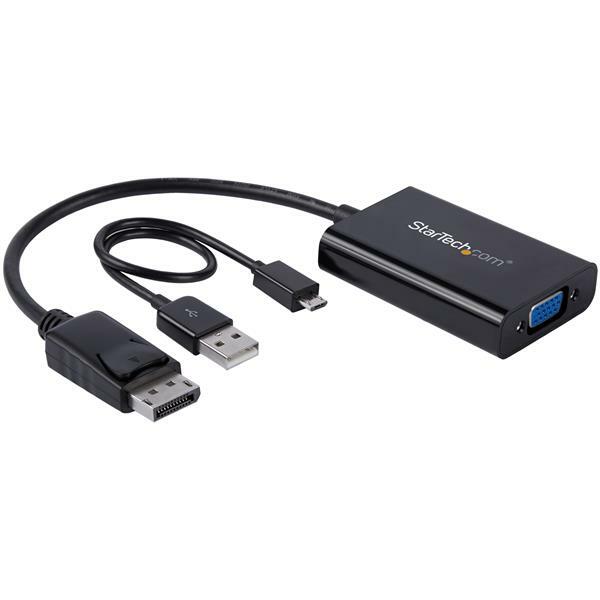 This unique DisplayPort™ to VGA adapter is equipped with a built-in audio port which lets you connect DisplayPort equipped devices, such as an HP® EliteBook Folio 9470m laptop, to a VGA display or projector with audio. Because most boardrooms are set up differently, the length of cables available in each room varies. Not all laptops have the DisplayPort (DP) and audio ports positioned on the same side, which can become awkward when you’re trying to deliver your presentations. It can also mean that some ports may be just out of reach during a meeting. This convenient adapter positions your audio and video ports on the same side of your laptop, to ensure that all of the ports you need are accessible when you need them. If the audio port on your mobile device is damaged or blocked by other connections, this convenient adapter guarantees that you’ll always have all of the ports you need for every presentation. By connecting audio to your laptop through the adapter, you can be prepared for any situation. In order to use the audio function of the adapter you need to power the adapter through a USB port on your laptop, or through a charge port on a USB grommet. 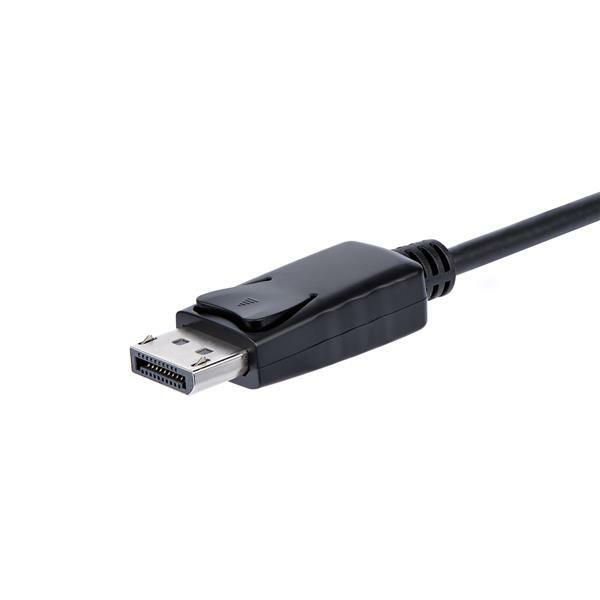 Simply plug a Micro USB cable from the adapter into the USB port and audio will be available when you deliver your presentation. 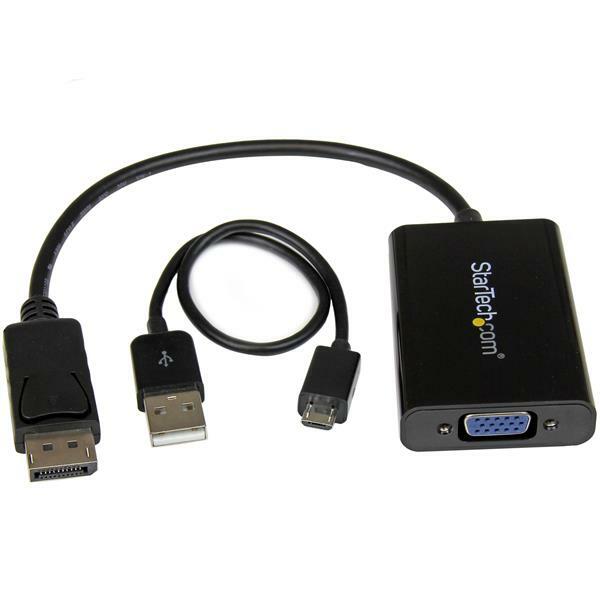 The adapter can also be used for connecting your laptop or desktop computer to your monitor and speakers. The adapter and connected cables can be placed nicely at the back of your monitor to create a tidy setup between all of your devices. 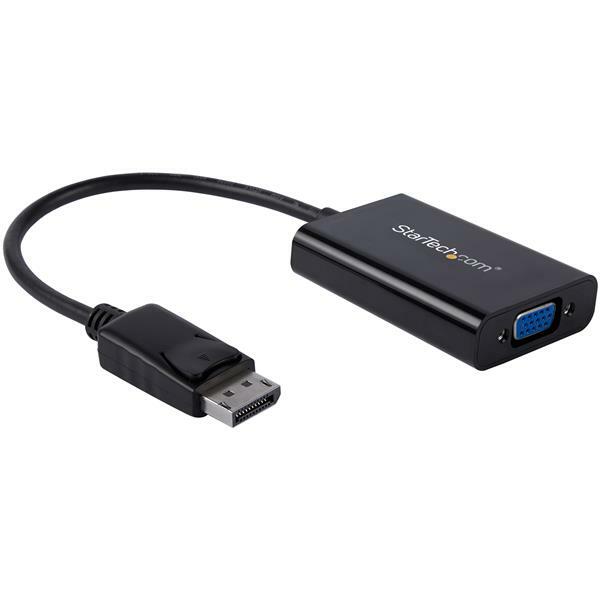 This DisplayPort to VGA adapter is extremely portable with a lightweight, small-footprint design. It’s the perfect accessory to carry with your mobile devices, fitting easily into your laptop bag or carrying case. Its ultra-portable design makes the adapter ideal for BYOD (Bring Your Own Device) applications at the office. It also enables you to arrive prepared when you’re presenting to a potential client, teaching off-site, or traveling to a meet with a customer. The DP2VGAA is backed by a 3-year StarTech.com warranty and free lifetime technical support.